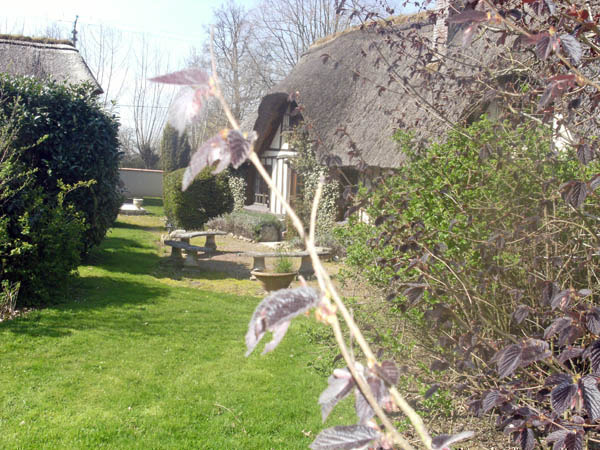 Charming thatched cottage next to Bernay's remarkable monuments, family-friendly place particularly thanks to the swimming pool and outdoor games. At the gates of the Pays d'Auge, quiet, in a beautiful lush environment Françoise and Roland are happy to welcome you in their adorable cottage of the 18th century. You have a private garden. You get the amenities nearby. Enjoy the covered and heated swimming poolfrom April 1st to November 30th, shared with two other cottages (ref 885 and 910).